I love (and own) each and every one of Matthew Vaughn's films. The guy has a great eye for staging action sequences as well as a sharp ear for humor. He usually maintains a great balance between "cool" and "fun", a feat that is far more difficult than it sounds. 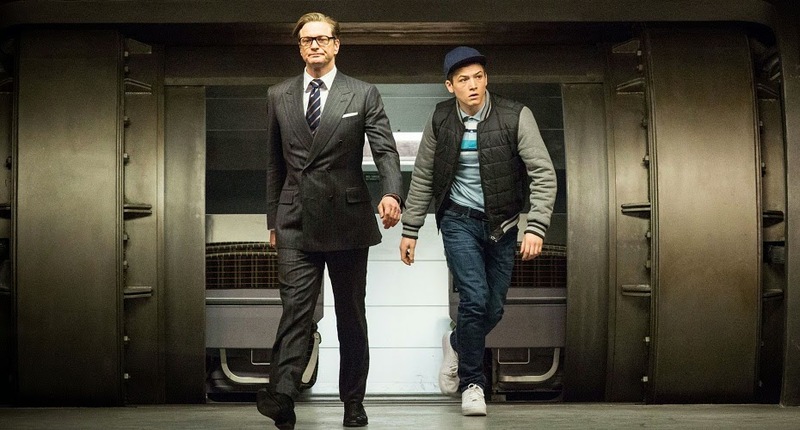 I was therefore confused by the first few trailers for Kingsman: The Secret Service, which stars Colin Firth as a British superspy with all kinds of crazy gadgets. It's hard not to feel like this is a movie which revels in all that which has been summarily discarded by Daniel Craig's incarnation of Bond. That could be fun, but something about those early looks felt fairly by-the-numbers. Maybe it was the whole tutoring-a-streetwise-young-protege storyline that just did nothing for me. I'm not sure. But then I saw this new trailer. Samuel L. Jackson as a lisping supervillain? I think I'm in love. I'm also tickled by his henchwoman, who appears to be a literal blade runner. According to IMDb, her character's name is Gazelle. That's so incredibly dumb that I can't help but adore it. I also spotted a rocket pack in there as well as a terrified and professorial Mark Hamill. But who cares. I could spend two hours just watching Nick Fury's speech impediment wax on about blood on his carpets. I am now officially excited about this movie.